Were you fortunate enough to have the day off? I was! After I bid my lil sis adieu, I cleaned (who knew teenage girls were so messy?) and enjoyed a day of beauty pampering. I did all the stuff I never have time to do, like deep conditioning my hair, trying a facial treatment mask, doing at-home pedis and more. It was a total stress-reliever and I looked glamorous, let me tell ya. 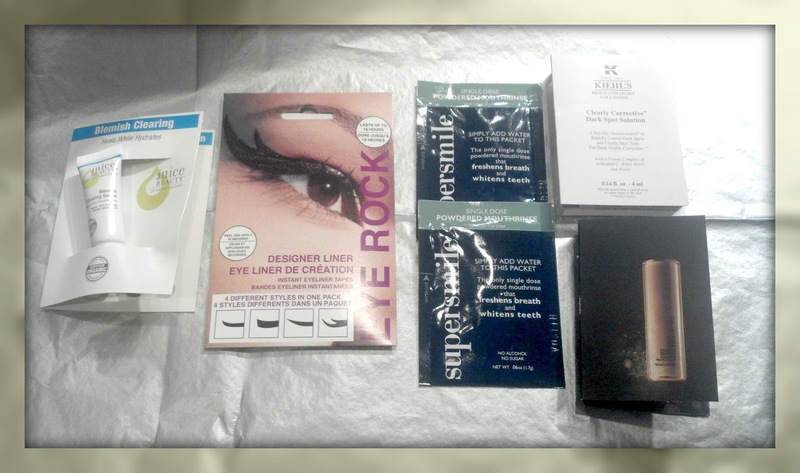 Speaking of beauty products, I thought I'd share this month's Birchbox and My Glam. Juice Beauty Blemish Clearing System.....great for that occasional zit. Mine disappeared the next day. Eye Rock Designer Liner.....My Lil Sis and I tried these, and we looked kinda crazy. Super fun to play with though. Supersmile Powdered Mouthrinse.....works great, but tastes gross. Kiehl's Clearly Corrective Dark Spot Solution.....I don't have dark spots. Shu Uemura Essence Absolue Nourishing Protective Oil.....yes, that's how it's spelled--the grammar nerd within is always ready. 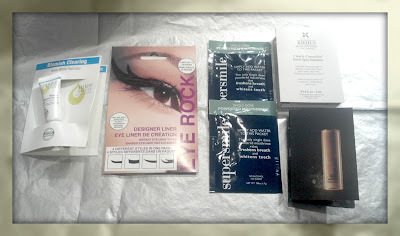 I really liked this and it's the standout of this month's box! Digital Download of a band for 6 songs.....I threw away the card before trying them out. Whoops. Grade: B-.....one of the better boxes I've gotten, or am I just happy to have something I can use? Freeman Facial Mask in Gogi Berry.....I loved this! Last month the mask was a little drying, so this mask was perfect for my dry skin. Ghirardelli Chocolate Samples.....delicious and devoured while having my mini-spa day earlier. My Glam Bag.....how cute is this pink bag with black hearts? How weird is it that I get excited over such things? NYX Roll On Shimmer in Aqua.....easy application; just roll on! But I don't wear shimmer often, if ever. I turned it into a nail polish--it works great, and it's been on Pinterest lately, so I thought I'd put my own spin on it. Premier Dead Sea Cinderella Masks.....more masks! I've tried one and saving the tightening mask for later. X Out Shine Control.....I don't get shiny, but I'll try this out when I'm in warmer climates for when I do. NuMe Tools & Hair Extensions $100 Credit.....the products are pretty expensive, but if you want the credit, I'll gladly send it to you. Grade: B-.....not my favorite bag, and I know many have been disappointed with shipping (they've released 3 bags so far). I hope they fix that! Winner: It's a tie this month! Both were ok! Do you subscribe to either program? Did you like this month's box or bag? What did you get? Share your review links in the comments and I'll update the post with your link. I haven't tried either program. Based on what I've seen posted on your blog and by others, I don't know if I would sign up. I wish there was a littler more variety in types of products. Uuu! Boxes, I love to see what people have in their boxes. I haven't joined any programs, so far, maybe soon. I love masks!!! I keep saying that I'm going to get off my little behind and try one...but I'm so lazy. LOL! So sweet. I love that little combo pack. I haven't tries either one of these before but I've seen 3 or 4 companies starting this in the last few months. It sounds like such a brilliant thing to get a surprise box in the mail every month that I almost want to start a box sending thing myself. Almost. I like the idea of birch box, but mine ends up with too many face cleaners that I can't use in it. Wow, a $100 credit for NuMe? That's kind of awesome! I tried BirchBox but gave up after 2 months. Just not worth the money. I still havent commited to getting a beauty bag each month. Mostly because I've never seen a blogger 100% happy with every box. I feel like there's too much room for disappointment and it's better for me to just get the products I like. These types of programs sound so awesome and I've definitely thought about subscribing. I love seeing what everyone receives each month! I almost bought those stick on eyeliners! I'm renewing my Birchbox subscription. I had the exact same thoughts on the MyGlam bag. I'm really excited to try the masks and the shine controlling product and I might spring for a fancy nume hairdryer, but I don't really wear shimmer. Plus it had zero staying power, it immediately dusted off my skin and was odd. But chocolate! Haha that won me over. You are so tempting me to try one of these programs. DANGER! Thanks for the review, Elle:) I've been really curious about that Shu Uemura oil..glad to know it's really good! I've never heard of either, but that is such a great idea. I love ordering online from Sephora and then getting to choose from the sample options. I hadn't heard of My Glam before but was considering joining BirchBox. Do you think it's worth it? I mean, I love trying new beauty products but am afraid that I would end up not liking most of it, when I could just get free samples from Sephora and use my money towards something I know I'll like. 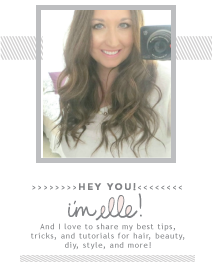 so totally jealous you got to be apart of myglam! please let me know how the products are :) i hope that you are well darling love!! never heard of it but seems like a really good deal! I am soo jealous of your day of pampering!It sounds like a dream. I had the day off, but had lots of homework to catch up on... oh well, I did get some time to relax on Sunday so I am thankful for that! Hmmm I can't decide which is better. I almost think myglam because of the cosmetic bag...but I think of ALL the bags I have from clinique, lancome, estee lauder, clarins and then I realize nope no need for more bags! A day of beauty pampering is always nice! I've been considering signing up for Birchbox. I haven't tried anything yet but for me I'll go with my glam because of the pouch. it is so cool! Ooh, Birchbox. This has been on my to-do for quite some time. Are you pretty happy with the program? Can't wait for the giveaway! And I'd love the dark spot corrector if you seriously don't want it. 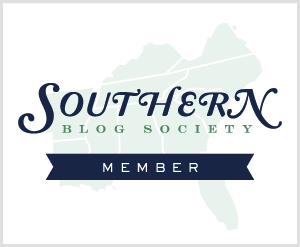 Thanks for stopping by my blog to answer my question!